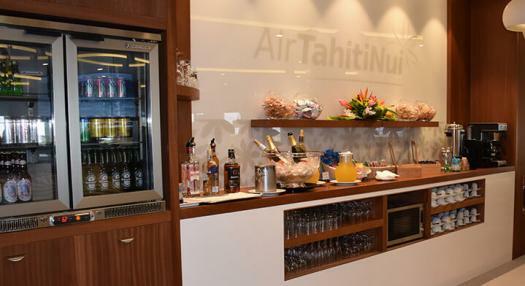 Air Tahiti Nui, which serves nearly 70% of international passengers flying out of Tahiti’s Faa’a Airport, is thrilled to announce the inauguration of its new lounge: the Air Tahiti Nui Lounge operated by ADT. 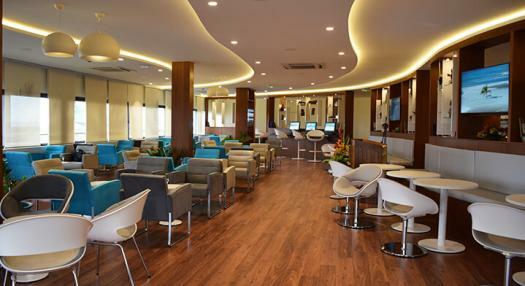 Features include white and blue furnishings to match the local Air Tahiti Nui airline, a modern design by Island Studio, a Polynesian flair, and a stunning view of the airport runway. The lounge includes a reception area, a TV area, computer stations, restrooms equipped with showers, locker rooms, and a smoking area. The beautiful environment invites passengers to extend their experience and aims to serve as a pleasant layover before boarding and immerse passengers in the cozy atmosphere of their trip even before boarding the plane. DELICE AND CHAMPAGNE a meal tray that includes a bottle of champagne and a box of Fauchon treats for customers celebrating a special event on board: birthday, anniversary, marriage proposal, Valentine’s Day, honeymoon, etc. 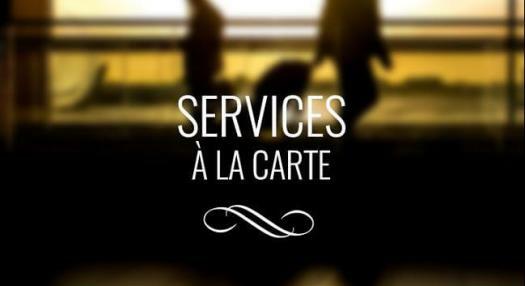 THE LOUNGE PASS allows non-Gold economy-class passengers access to the lounge before departure. THE PRIORITY PASS offers economy-class passengers priority access to check-in and boarding, and a “Priority” bag tag for faster luggage delivery.